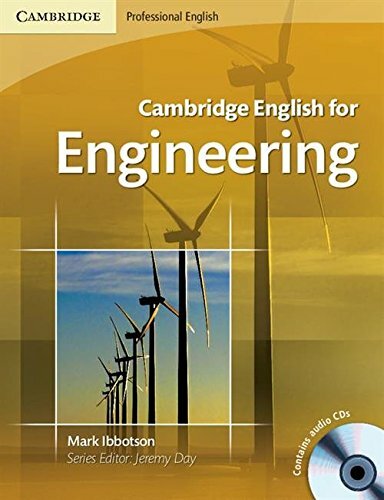 Cambridge English for Engineering develops the communication skills and specialist English language knowledge of engineering professionals, enabling them to communicate more confidently and effectively with colleagues and customers. The ten standalone units cover topics common to all kinds of engineering (including civil, electrical and mechanical) such as procedures and precautions; monitoring and control; and engineering design. Authentic activities, from describing technical problems and suggesting solutions to working with drawings, make the course relevant and motivating. The course requires no specialist knowledge on the part of the teacher and comprehensive teacher's notes are available online. It is also ideal for self-study.